Ates' Advertising Agency is pleased to bring to the music and video entertainment industry it's newest advertising module: ROTATION. In the music and video business the every hour on the our playing of an artist' product is known as rotation. AAA knows that in order to be successful you must get your music heard and / or your videos seen. AAA is your inside track to your music, video, and other product higher volume sales. AAA is dedicated to increasing your product sales by increasing it's "Rotation". Ates' Advertising Agency gets your product Heard and Seen! 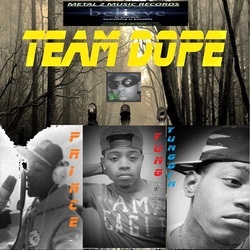 You are welcome to visit my label site where you can find promo releases available for free download from Adria Kain(a Dynamic R&B artist from Canada)Yung T(Texas) (an Extraordinary rapper from Alvarado, Texas I call him a 'blued eyed' genius) Team Dope's promo mix tape, The B.A.R.S. 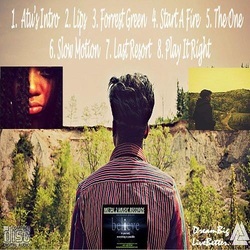 Crew's 'Buried And Resurrected Society' the mix tape, Franz The Hybrid One's "Beats" mix tape and now Voice A True Gogetta's "Hallowqueen" album just released Friday the 13th, Team Dope's "All or Nothing" album 'leaks' and Ladii Blayze's promo mix tape I've just released as I pen this, and now Coast 2 Coast Indie Artist Top 50 featuring Metal 2 Music Artist Team Dope/Franz The Hybrid One's "In A Rush" >http://coast2coastmixtapes.com/mixtapes/mixtapedetail.aspx/the-indie-top-50-vol-312. Coming soon Yung Fallen Angel and 3 Unborn Soulz' mix tape and an album. Show link> http://ustream.tv/channel/franzaliscious-music T/Th/Sa 6 to 9PM MDT. Also M2M is looking for unsigned artist Rap/Hip Hop/R&B to produce and/or distribute and market metal2musicrap@gmail.com Check out Tune City http://www.metal2musicdistro.tunecity.com artist can post their music there sale it and get paid direct also sign up as an independent music distributor and get paid for every sale from everyone that signs up under you from sales of all the artist on the site it's new it's cool it's innovative. Free Shipping on $25 Order at ArtisticLabels.com. Ends 11.30.13. FRANZALISCIOUS MUSIC VIDEO N MORE SHOW IS A PRODUCT OF METAL 2 MUSIC RECORDS PLEASE VISIT OUR SITES TODAY FOR UNIQUE SPECIALS FROM OUR AFFILIATES TEXAS FINDINGS N MORE, WALMART, GAMESTOP, HAIR EXTENSIONS BUY, FOREVER 21, CUSTOM T SHIRTS, LOGO SPORTS WEAR AND DOZENS MORE http://www.metal2music.com http://www.atesadvertisingagency.weebly.com http://www.erecnis.com and the show link via You Tube>http://www.youtube.com/watch?v=rrtc5WC07pA# TONIGHT'S SHOW FEATURES "Team Dope" AND Voice A True Gogetta collaborations and MUCH MORE! ALSO SPONSORED IN PART BY ATES ADVERTISING AGENCY SO PLEASE VISIT THESE SITES TODAY AND TAKE ADVANTAGE OF OUR AFFILIATE'S DISCOUNTS AND SPECIALS FROM RETAILERS SUCH AS:WILLOW RIDGE, BEDFORD FAIR, OLD PUEBLO TRADERS, SWIM SUITS DIRECT, OFFICIAL COSTUMES AND MANY MORE LIKE: KNOT STANDARD, FRAGRANCENET.COM, EDITOR'S CLOSET, E WATCHES, THE WATCHERY, MENS USA, DIAMOND STUDS 4 LESS, CHIC NOVA, TORTOISE & BLONDE, AND WASTELAND JUST TO NAME A FEW SO VISIT METAL 2 MUSIC RECORDS AT http://www.metal2music.com and ATES ADVERTISING AGENCY http://www.atesadvertisingagency.weebly.com and Erecnis Entertainment Enterprise at http://www.erecnis.com AND GET GREAT SPECIALS AND DISCOUNTS WHILE YOU SUPPORT INDEPENDENT ARTIST AND RADIO. ▶ FRANZALISCIOUS MUSIC VIDEO N MORE SHOW - YouTube http://ow.ly/rJ6AK #RT Tonight's show featured live on air interview with Voice A True GoGetta, Franz and Voice discussed the release of her new album "Hallowqueen" Friday the 13th and her party at Orion Studios! And World Premiere of Team Dope B.A.R.S. 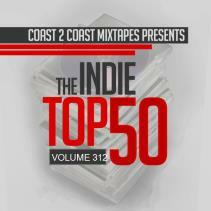 CREW Collaboration and Ladii Blayze tracks and much more! check it here on You Tube! 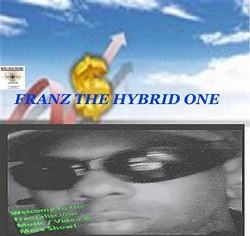 My name is Franz"The Hybrid One" Ates host/producer/presenter of the Franzaliscious Music Video n More Show, (Get *free* Franz The Hybrid One Instrumental tracks Spotify link>http://open.spotify.com/user/franzthehybridone/playlist/64oxlxu5qauLdRUYmXCUzy) download now at Metal 2 Music Records website http://www.metal2music.com Powered by DatPiff and listen on You.Tube show site>http://www.youtube.com/watch?v=c4uIgYV6qRQ My Show Link> http://ustream.tv/channel/franzaliscious-music I'm also an Executive of Metal 2 Music Records and Erecnis Entertainment Enterprise http://www.erecnis.com. Stop by the show site and say hello and leave a comment. If you are an artist (rap/hip hop/r&b/techno, house) inbox your tracks to me at franzthehybridone@gmail.com Be sure to specify if it's for airplay or label consideration. And be sure to include your cover art or picture. Enjoy Free Shipping Every Day on Orders Over $59 at FragranceNet.com. Get $15 off your $75 purchase at Beauty.com! Get the best prices on the latest video games at Alibris! Find great deals on all formats, including Xbox 360, PS3, Wii, Nintendo DS, PS2, and PC titles. Shop the ELIZABETH EDMONDS collection exclusively at LimogesJewelry.com for elegant monogram and personalized designs in sterling silver and gold.